Gold bullion is currently becoming very popular as an investment. The yellow precious metal has always been a hot investment, but why is gold commodity at the very height of popularity and in higher demand than ever before? There are a number of factors that affect the supply and demand of precious metals, including gold, and these factors have come into play in large ways. Investors like never before run from the failing stock market and search an alternative way to protect their portfolios. Precious metals market seems like a perfect way to preserve what’s left in the times of economic uncertainty. 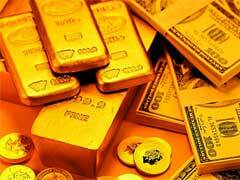 A poor global economy plays a role in the increasing demand for gold investing opportunities. A gold commodity can help protect you against both inflation and deflation. With the current American economy, with very low interest rates, either inflation or deflation are very likely to come into play at some point in the future. Having precious metals assets can protect you against this economic problems without huge losses. A gold bullion investment has always been considered a safe way to keep your money diversified, without the risk of your money losing most of the value due to the economy. Another factor in the value of the gold commodity is that this precious metal has a demand that is increasing. Just like any commodity the price of gold is determined by supply and demand. As currencies around the world lose value more people are turning to the yellow metal to hold onto their wealth. The gold bullion price today is higher than ever, and this causes many investors to want to get in on this trend. The gold commodity market has seen tremendous increases as more investors and individuals come into the market for many different reasons. The market price of gold is a compilation of many factors. Its sources are limited, and some mines are starting to stop producing. The price and popularity of the metal is driven by supply and demand, as well as economic and global factors. As supply falls and demand grows, it will become even more popular and expensive than it is right now. Before you rush into this market, please be advised that precious metals goes up and down in price, there are storage costs associated with physical bullion products, there are premium dealer costs attached to buying bullion coins or bars. If you hold your investment for over a year and decide to sell it, you will be incurring a huge capital gains tax. Since bullion is considered collectible, it’s going to be taxed at 28%. Please consider all these factors before purchasing this commodity.